If you have already learned a little about your potential opportunities and challenges in our state from either the ATP page about Alaska itself, or the one about teaching in Alaska, then you are already ahead of many other candidates. We are sure it's probably obvious by now that research is essential to finding "the right fit" with a district and job that meet your specific expectations and skills. 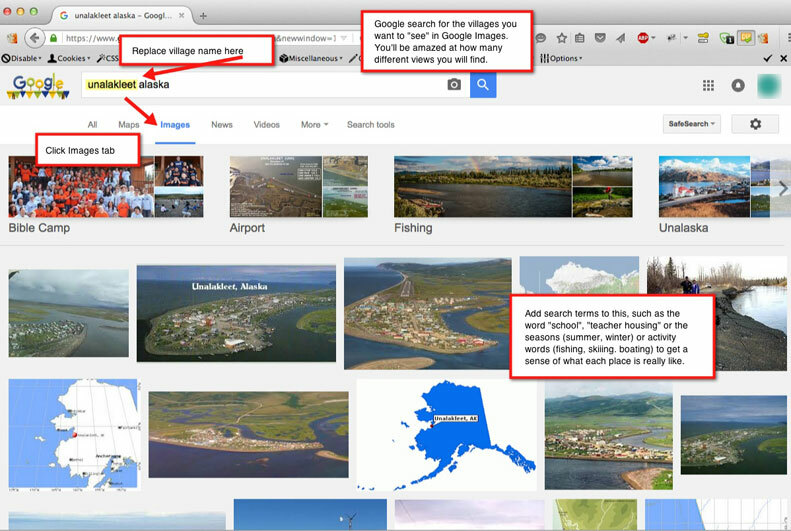 That said, it's also important to keep an open mind when researching districts and potential villages in Alaska. ATP has been compared to a "matchmaker" for job candidates and school districts. It's a good analogy, and we actually studied effective on-line dating systems in designing the earlier versions of this website. We want to find everyone their own "Paris on the Kuskokwim" – the link goes to Michael Faubion's humorous collection of songs about life in Bethel. We recommend it. The title song is a free MP3 download, and it is on my iPod. More important is the message hidden in the lyrics and song clips on his site – finding a place that fits is a critical, and personal thing. I have many friends who wouldn't live anywhere else in Alaska but Bethel...or Kotzebue, Sand Point, Nome or White Mountain. These are teachers and administrators who like working and living where they are just fine, and have adjusted perfectly. » Make no mistake, your task is to find job opportunities that are a good match. The resources on this page, and others on this site will be a good start. The ATP Applitrack system notifies you of new postings that match general criteria, but there is no substitute for doing some research. Alaska has opportunities, and challenges you won’t find elsewhere. It is important to be an educated job candidate if you are going to find a good match for both your professional skills and interests, and your personal lifestyle requirements. Not every teacher finds their own personal Paris on the Kuskokwim, but our job is try to help you find yours! This website has an excellent page about Alaska's school districts. We won't replicate that information here. Links to all current district websites, and other contact information is there. In addition, links to salary and benefit information, and other data on the districts themselves is available. Links & information about all of Alaska's school districts. Alaska EED School District Map: Excellent PDF map of all school districts in Alaska. Not only will districts be impressed when you demonstrate your knowledge about them, they will realize that you are a serious, informed candidate. There are some excellent resources available for researching specific villages. Many of these did not exist even a couple of years ago in a web-accessible format. Alaska Community Database – Very detailed custom data searches about all Alaska villages. You can look at data by village (default), climate region, or school district. Community & Regional Affairs Office - The Alaska CRAO also has an excellent Imagery Viewer for the state. Don't forget about Google Images. Even little tweaks in how you use the search can bring in a wealth of different views by subject. Many are going to be images posted by community members for the "real feel" of a place. » Check out our Alaska Maps page.